West Virginia, also known as Mountain State, is a pretty small state and ranks 41st among all US states in terms of area. West Virginia has low median income and feature mild population density. Home of various mountaineering events and activities, West Virginia, was the lone gainer during 3009 year as most of US nation was facing “Recession Effects”. State’s economy is based on agriculture, coal mining and extraction industries and Tax revenues collected from Citizens of West Virginia. There are a number of educational universities and schools in state, which are consistently working in betterment of health services. 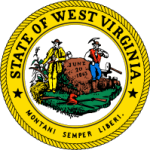 What are West Virginia State Boards of Nursing and how are they related to development of West Virginia? There are two state boards of Nursing in West Virginia State. Nursing Boards are state agencies, which work to regulate nursing practice in West Virginia State. Both the Boards commutatively form the West Virginia Board of Nursing. Registered Nurses and Dialysis Assistants are administered by the West Virginia Board of Examiners for Registered Professional Nurses, whereas Licensed Practical Nurses and Nurse Assistants are administered by West Virginia Board of Examiners for Licensed Practical Nurses. Any matter or decisions related to education, licensure, discipline, practice or continuing competence is taken by these two boards. West Virginia Boards are two virtual boards, which are operated under separate divisions from same building. Any complaint registered in abuse registry against any nursing professional is acted upon by these boards. Promotion of nurse practicing, and safeguarding public interests are two main objectives of West Virginia Boards of Nursing. Health care industries and services depend largely on these boards and for better development of state; its health care services must also be sound and efficient.